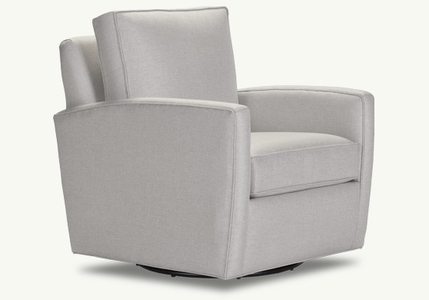 The Lincoln has trim lines and generous proportions that combine to create a relaxed modern look, while the swivel base and glider make this the chair everyone will want to settle into. Smaller in scale, this swivel chair fits just right in any size home. Available in a wide variety of fabrics and leathers.